Sandberg admitted last week that she ordered staff to conduct research into Soros and his trading of Facebook stock, after he called the social media giant a “menace” to society during a speech at the World Economic Forum in Davos in January. In a letter to Patrick Gaspard, president of Soros’ Open Society Foundations NGO, Facebook’s board defended Sandberg’s decision. “To be clear, Ms. Sandberg’s question was entirely appropriate given her role as COO. When a well-known and outspoken investor attacks your company publicly, it is fair and appropriate to do this level of diligence,” read the letter, send on Wednesday. 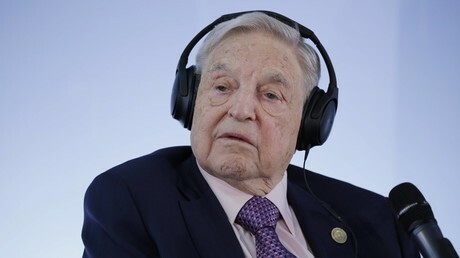 This smear campaign involved Definers publishing anti-Soros content on NTKNetwork, a site owned by the company and described by one ex-employee as “our own in-house fake news shop.” Sandberg told NBC News that Facebook “absolutely did not pay anyone to create fake news,” and CEO Mark Zuckerberg denied any knowledge of his company’s work with Definers. Eventually, outgoing Head of Communications, Elliot Schrage, took the fall for hiring the company, and while Sandberg admitted to conducting opposition research on Soros, she denied she had worked with Definers to investigate Soros’ link with anti-Facebook activists. Facebook’s board stuck to that story on Wednesday, claiming in the letter that Sandberg knew nothing about Definers’ work with Facebook. “These latest revelations add momentum tocalls for congressional review of monopolistic behavior,” he added.